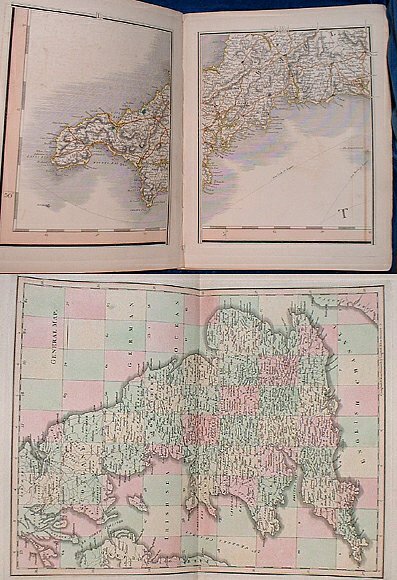 Description: London, Cary 2nd edition corrected to 1832 1832 Hand coloured maps on 81 leaves incl. General map, dedication, explanations, & distance gauge by Cary . Quarto half calf (covers off & lacking spine/tips worn) 81 leaves + 102pp incl. adverts for Atlases. Slight edge dusting to a few leaves and some offsetting where opposite page is mainly sea. One opening has small ink spotting. All roads, boundaries and wooded areas colored.